All concerts go by ticket reservation, via www.eventsforchrist.nl. Tickets costs € 17,-, including € 2,-. On Saturday March 3, 2018 Continental Ministries Romania celebrated their 20 years anniversary in a packed theatre in Cluj-Napoca, Romania. 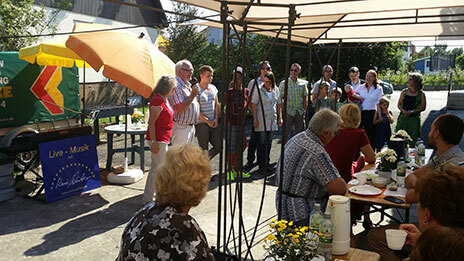 A great programm was presented and many Continentals from over the years were present. Leen La Rivière and Marinus den Harder (from the European umbrella organization) were present and presented a special award to executive director Iosif Catuna for the great achievements of Continentals Romania. Special guests were Cam Floria and Jim Schmidt from Continentals USA. Romania tours visit Romanian churches all over Europe and the USA. On november 25, 2017 Continentals Slovakia celebrated their 20 years anniversary in the sold out musical theatre of Bratislawa, Slovakia. Leen and Ria La Rivière (from the European umbrella organization) were present and gave a special award to executive director Iveta Viskupova-Weiss for her incredible leadership over all those years. Performing were: Continental Kids, Young Continentals, the Sloval Continentals and the New Hope Singers. The most recent song is number one, the oldest song is number 13. With great care were the old recordings digitalised and edited. This all happened in the Groovity Studio in Amersfoort by Wilkin de Vlieger. A SONGBOOK is available of this CD. Price: CD 10 Euro, Songbook 10 Euro. You can order via Continental Sound: (via info@continentalministries.org) plus shipping costs. This is a unique masterpiece and a tremendous blessing. Labelnumber: Free 3119. 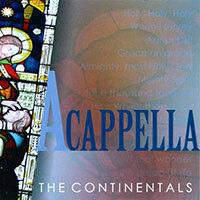 Preparations have been made to bring out a new CD of the Continentals, an A CAPELLA album in 2017! More news about this project will follow. Once again I (Vilar from Brazil Continentals) was invited by CCIS - Celebrate Christmas In Singapore (a christian project) to take part in the 2016 National Christmas Festival, beginning in December 17th till December 26th to be held in one of the most know streets of Asia, Orchard Road. Cam Floria and Jim Schmidt gave me the permission to create the International Continental Singers to perform in 2016 - the main idea is to have participants from all the Continental Singers around the world. This International Continental Performing group will have the unique opportunity to minister in Singapore - a popular holiday destination that offers a myriad of attractions and quality experience, receiving multiple awards and accolades over the years as a highly-lauded destination in Asia - for a project called Celebrate Christmas in Singapore (CCIS) - began in 2004 by a handful of Christians who wanted to bring the message of peace and joy of Christmas, a hallmark of the Christian community in Singapore in reaching out and blessing the community with the message of love. Together we will have the opportunity to celebrate the Gift of Jesus Christ during the first Christmas, through a multimedia celebration of performances, interactive activities, carols, floats, mass choirs, and much more! The Continentals International Group will perform on stages in Orchard Road and some churches from December 17th till 23rd. On December 24th, we are invited to be the main group on the Grand Finale, a final concert to an audience of more than 5,000 people in one of the biggest asian shopping center called Vivo City. The Continental members will have to cover their own flights to Singapore. A fee of sponsorship of US$180 for participation, to be paid to the Brazilian Continentals. The songs of the Continental Concert to be performed will be sent to all participants in October (sheet music SATB), together with all information needed (outfits, staging, messages, etc). It would be great to have people from your country taking part in this great project. I will be in charge of the group in Singapore. It will be a great Continental project and a blessing for all participants to take part in an international program to spread the good news of Christmas for the Asian world. The members will have all day free for sightseeing and rest. All performances will be at night. Feel free to contact me to ask for more information. On november 12, the new album ‘Worship the great I AM’ of the Continentals received a Silver Dove AWARD from the christian music industry of The Netherlands in the category best album groups and choirs. The producer of this album was Leen La Rivière. On the picture Leen receives the award from a member of the jury. Cam Floria the founding father of the Continentals wrote a book: David’s 7 secrets. After launching the David musical all material collected was the basis for this book. How to order: Go to www.continentalsglobalfoundation.org. If you click on the picture you can order it. On August 31 the news was released that the new album of THE CONTINENTALS: Worship the great I AM has been nominated for the silver dove award in the category best album choirs/groups. And the new album of the CONTINENTAL KIDS: Op weg met die grote God is Licht en leven has been nominated in the category best album childrens music. 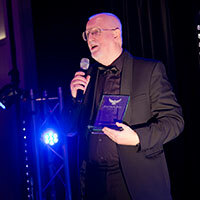 Producer of both CD’s: Leen La Riviere.The awards are given by the christian music and media industry of the Netherlands, more on www.zilverenduif.nl. The winners are celebrated in a mass event on nov.12. 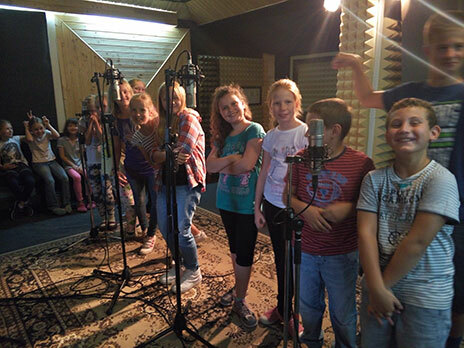 The Slovak Continental Kids have just finished their new CD recording, here a picture from the studio. Anca Ciora (46 years old) died. It is with great sadness that we have to inform you that the former executive director of Continentals Romania has died of cancer. Funeral on May 19 in Cluj-Napoca. As she wanted to set up Continentals in Romania, since 1994 she got special training and coaching by Leen La Rivière (office procedures, systems, auditions, trainings, planning, management, promotion, etc). As part of her training she took part in western Continental tours in 1996, 1997, 2001 and 2002, where she worked together with directors like Iveta Viskupova, Harold Schonewille. Thanks to her personal commitment Continentals Romania could start. Several years she put Romanian Continental tours on the road. These tours travelled all accross Romania and outside of Romania, even in the USA ministering in Romanian speaking churches. After a number of years she became exhausted. Quite well to understand, if you realise how difficult it was to get all work done, when you have no printer, none or a bad computer, no mobile phone, etc etc. Continental Ministries owes her a lot of respect for her courage and perseverance. As christian she has been an outstanding role model. After she stepped down from leadership and Iosif Catuna became the new Romanian Continental leader, she kept serving in the board of Continental Ministries Romania. We loose a precious pioneer woman of God. The latest news about the new CD’s and more about a fresh start. If you have toured before, you do NOT need to do audition again. Just send a mail to: info@continentalministries.nl and mention you want to tour again, mention your name and full address. And you will hear soon about the possibilities. Als je eerder hebt meegedaan, hoef je niet opnieuw auditie te doen. Mail naar info@continentalministries.nl dat je weer mee wilt doen en vergeet niet je volledige naam en adres te vermelden. Je hoort daarna op korte termijn over de mogelijkheden. NEW START(! ): On January 27, 2015 a mailing was done to all (former) Continentals, Young Continentals and Continental Kids in The Netherlands: informing them about the new start in The Netherlands and western Europe. The responses are very promising. On schedule are for the coming summer: 2 Kids groups(dutch speaking), one Young Continental tour and one Continentals tour. PROGRAMS: There will come 3 new CD’s: Continentals: WORSHIP THE GREAT I AM; Young Continentals: GOD is my wonderful councelor, everlasting Father, Prince of Peace, Mighty God…. A fascinating journey; Continental Kids: JOY…zingen over die grote God maakt blij (dutch only). Great new songs and programms! Contributions from Pekka Simojoki, Ingemar Olsson, Edgard van den Broecke, Stefano Rigamonti, Paul Field. Recordings in April. Continental Ministries Europe received a note from the board of Continentals.nl (leadership Rob de Jong) that they have filed for bankruptcy. Incoming money dropted so much over the last year that salaries, rent and other costs no longer were able to pay, so debts were piling up. CME regrets this situation very much. This situation has no effect on the other Continental organizations, their ministries move on. These organizations are: Continental Ministries Europe, Continental Sound, Continentals Slowakia, Continentals Hungary, Continentals Romania. All rights to use names (The Continentals, Continental Singers, Young Continentals, Continental Kids), logo’s concepts return automaticly to the European owners: CME/Continental Sound. When the court has decided CME will move forward for a new start with Continentals in Western Europe. Thursday nov.13,2014 we had the national Zilveren Duif Awards (Dove Awards) in the Netherlands. This gala-ceremony-concerts is life on radio and on life-stream TV. These awards are given each year to the best album, best song, best new talent, etc. This happening is organised by the cooperation of radio, TV, publishers, records companies, music organizations, bookshops , copyright organizations, all with a christian identity. 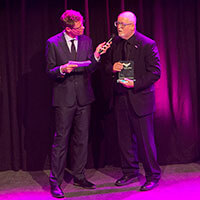 Here I had the remarkable experience that suddenly and unexpected I was called to the platform and to me was given the first ever Life Achievement Award of the Netherlands for my lifelong pioneer work in the world of music, arts and culture. I was totally speechless (and that gave big fun in the hall, as nobody has ever seen me totally surprised and searching for some words). The timing is perfect. This november I am 45 years professional in the arts, and before that 5 more years as semi-professional amateur. I can write books full of stories about those 45 + 5 years.. Anyway as you know, I have survived and stay active. Leen La Rivière visited as chairman Continental Ministries Europe the Continental offices in Romania, Hungary, Slovakia and the Netherlands. He spoke at christian artists conferences in Austria and France(Biblical foundations for the arts and culture). Leen is working on the new theme for 2015, will be ready in appr. 1 month. With great joy we can look back on several blessed tours out of the Netherlands, Hungary, Romania and a kidsgroup in Slovakia. Results can be found on the websites of those offices. Autumn and springtours are prepared now out of Rotterdam and Romania. Leen La Rivière visited the Continental offices of Romania and the Netherlands. He visited too Milano to talk about a restart of Continentals Italy. Several new CD’s were made: the English versions in the Netherlands, and a Romanian CD See the discography lists. Leen finished the bible study about the theme 2014: Connection. This very encouraging study can be found on this websites, see theme. With great joy and great results there were tours in Romania, Hungary and a Kids group in Slovakia; and of course out of Rotterdam for western Europe. Results can be seen on the websites of these Continental offices. At the moment preparations are happening for autumn and springtours out of Rotterdam and in Romania. Please pray for all these events, that they continue to be a ‘life changing experience’. Announced is the upcoming INTERNATIONAL Directors training. Dates May 9-12, it will be organised in Rotterdam. Cam Floria, founder will come too. Directors will come from Holland, Germany, Slovakia, Hungary, Romania, Brasil, Argentina, Chili. More will come…. Leen La Rivière (chairman Europe) visited together with Marinus den Harder (his assistant) Continentals Romania. A new charter/foundation documents were signed after good work of the lawyers. This new statute was needed due to many changes of the laws. Concerttours of the Romanian Continentals and west Europe Continentals were great. More on their websites. After 3 months of hard work in a studio, all the LP’s of the Continental Singers, New Hope, Wings of Light were digitalised, remastered and now available as CD’s! The first LP was made in 1963. Just have a look at that page of this website. The theme for 2013 is ready, so Continentals West Europe in Rotterdam can go ahead with song selection, arrangements and such to prepare the new programs and new CD’s. Continental Romania have a tour this autumn, just have a look at their website (go to webpage Network). Continentals West Europe (Rotterdam) has an autumn tour to France and in December e Christmas tour, just have a look at their website (go to webpage Network). Leen La Rivière has a new book out: THE MESSAGE, the content: what did Jesus Christ say and teach? Great help for personal bible study and group discussions. It has even an introduction of the former prime minister of the Netherlands: Prof. Jan Peter Balkenende. You can order this book.